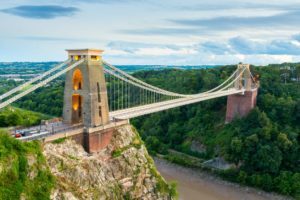 Jan de Jonge is guest speaker at the LinkedIn Local event in Bristol, on Monday 4 February 2019 at the Harbour Hotel. The event is fully booked and, weather permitting, some 70 attendees will be there. The #LinkedInLocal movement is an idea that started in New Zealand in 2017 by Anna McAfee and has caught peoples’ imaginations. The idea is very simply to put the social back into social media, to meet the person behind the LinkedIn profile. It’s a great way to meet with existing and new connections in an informal business context. The event is hosted by Greg Cooper of Front of Mind Coaching, known to be a leading South West expert on LinkedIn. The aim of Jan’s talk is to demonstrate how behaviour matters for connecting and building relationships, both face-to-face and online, especially on a business-led platform like LinkedIn.